It looks like you are outside the USA. Select a flag below or click “ignore” if you are happy with the American version. 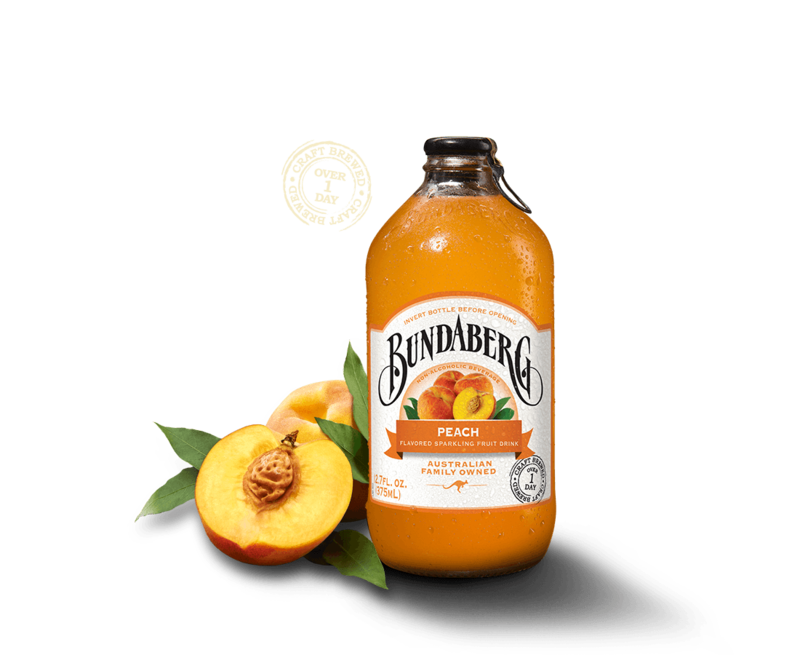 The sweet scent that escapes when you open a bottle of our premium Peach sparkling brew is simply mouth-watering. And why wouldn’t it be? Brewed from real, delicious peaches, picked at their peak, it’s like eating a peach right off the tree. Ingredients: Carbonated Water, Cane Sugar, Peach Juice from Concentrate (5%), Peach Brew (Water, Peach Fruit, Sugar, Yeast, Citric Acid), Citric Acid, Flavors, Preservatives (Potassium Sorbate, Sodium Benzoate), Colors (Carotenes, Tomato Lycopene Extract), Stabilizer (Xanthan Gum), Antioxidant (Ascorbic Acid). *Percentage Daily Values (% DV) are based on a 2,000 calorie diet. Not a significant source of calories from fat. *Your daily values may be higher or lower depending on your calorie needs.